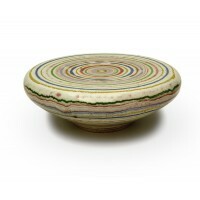 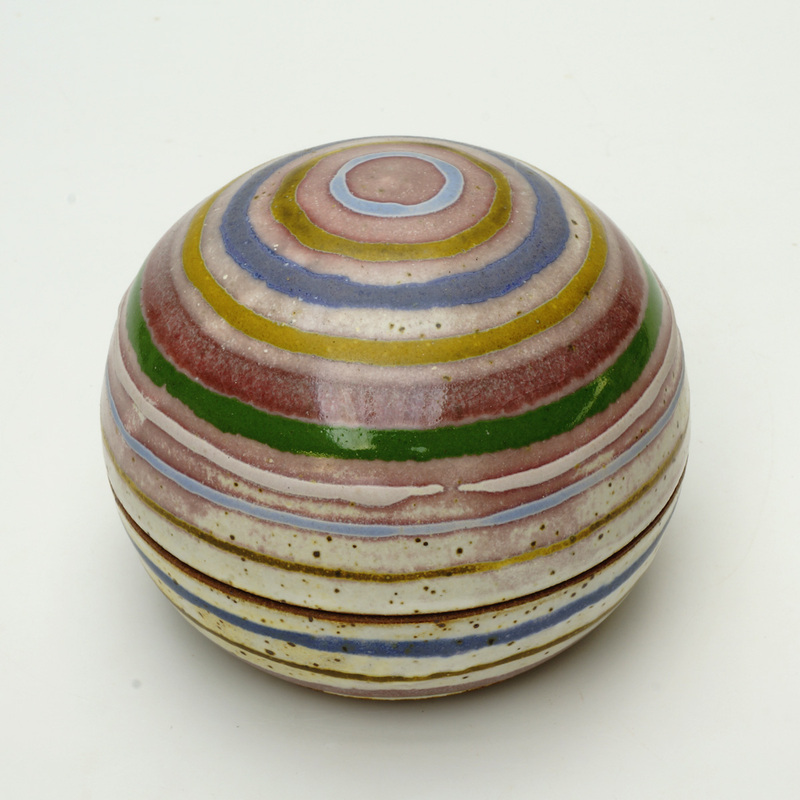 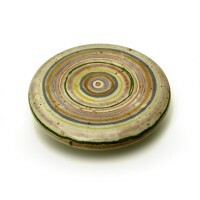 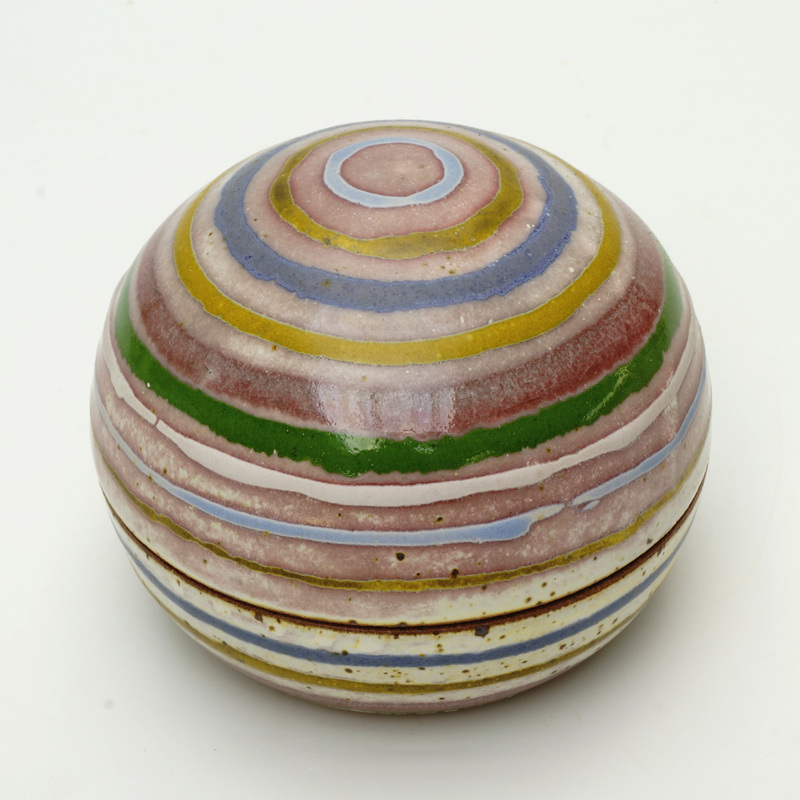 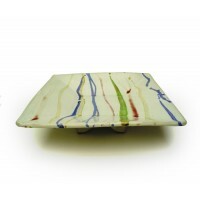 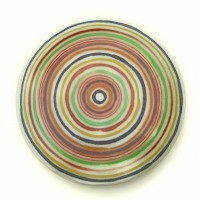 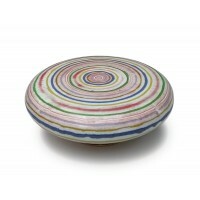 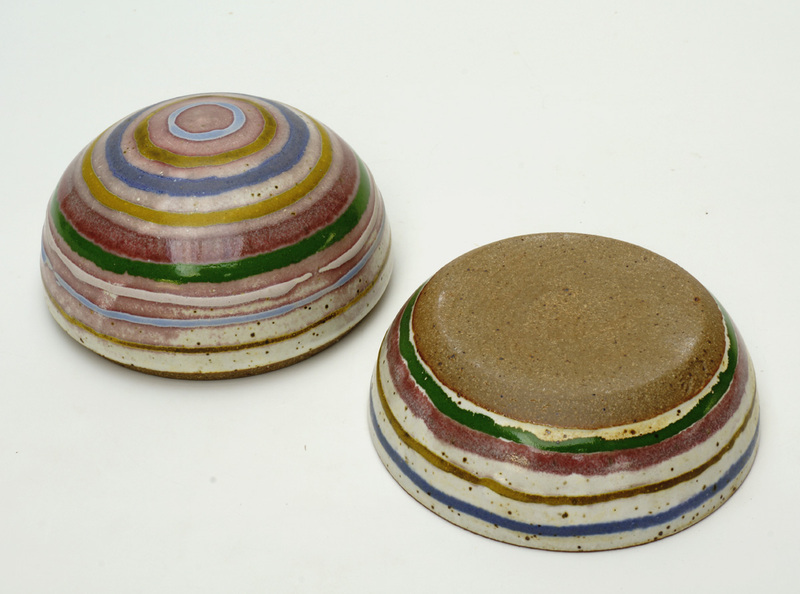 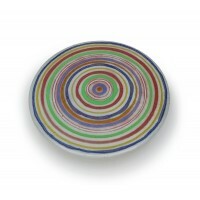 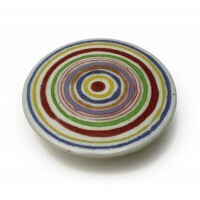 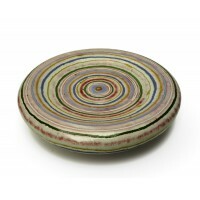 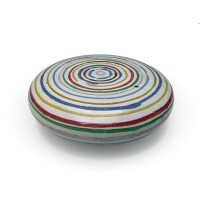 Box with blue, yellow, red, green and reactive glaze decoration in bands, on a white ground. 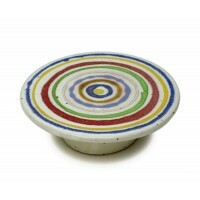 Features a neatly fitting lid. 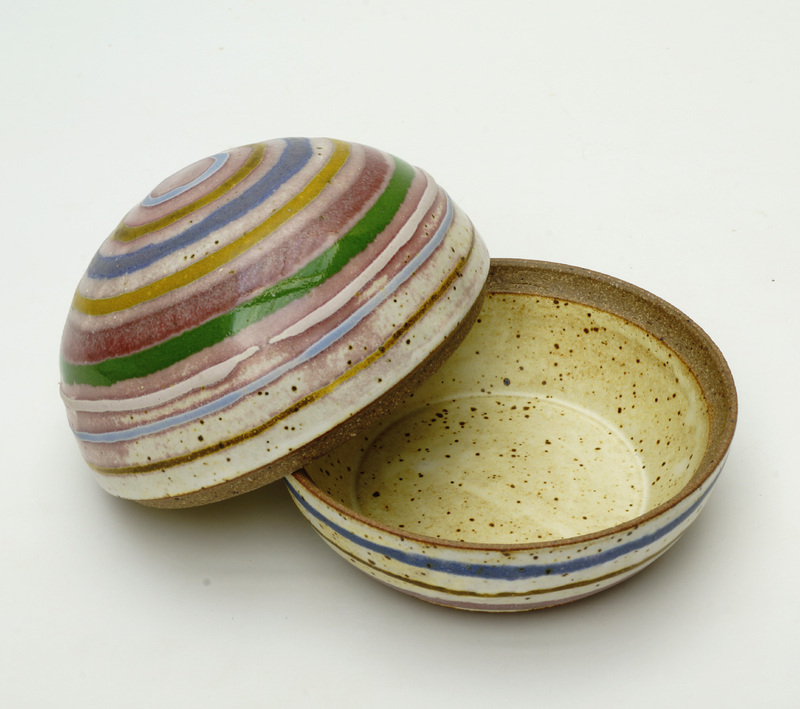 Suitable for food use or treasure box. 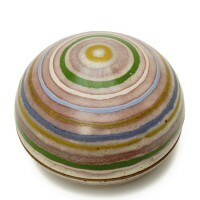 This Box is 2.5" height x 4" diameter. 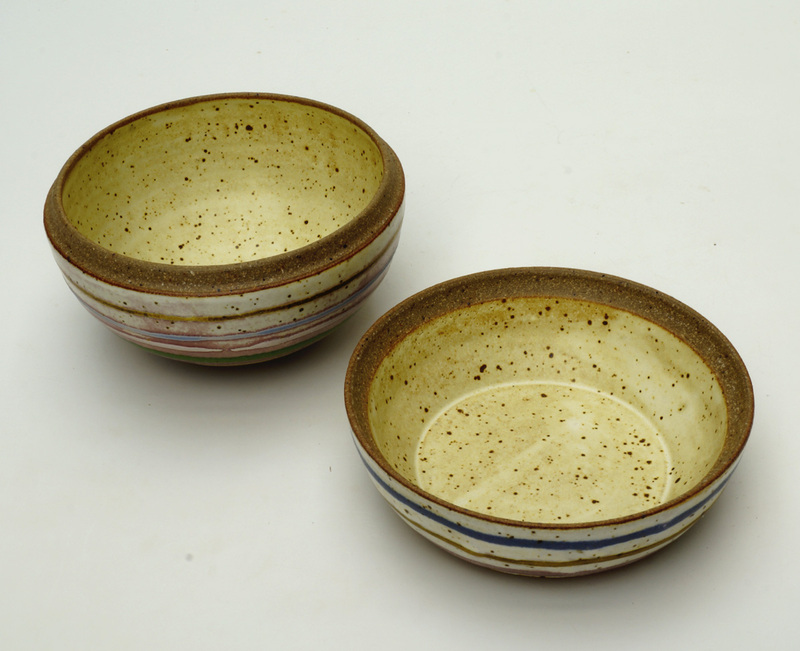 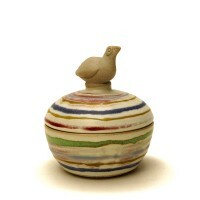 Craft pottery - individually made with care.